Alibaba founder Jack Ma has a vision. In China, the cars are becoming smarter. Last week, Alibaba Group Holding Ltd. and Foxconn Technology Co. Ltd. led a $348 million fundraising round for Guangzhou Xiaopeng Motors Technology Co. Ltd., a three-year-old startup developing internet-connected, electric cars. The investment might seem an odd one for online retailer Alibaba. But it's part of a larger vision for transportation that includes tools to design and run entire cities. Indeed, with backing from the Chinese government, Alibaba could soon seize the lead over European and American competitors in the race to define the future of transportation. In many respects, the cutting-edge self-driving systems found in vehicles like the Tesla Model X already belong to the past. Their arrays of cameras, radars and computing power can maneuver a vehicle into a tight parking space, safely change lanes on the highway and even respond to a summons by the driver. But, as remarkable as these capabilities are, they tend to rely on line-of-sight connections. That works great when sensors can clearly see a stoplight or stop sign -- less so, say, in foggy conditions, or if someone has deliberately changed the sign in order to spoof the onboard computer. One way around that problem is to enable stoplights to "talk" to cars via wifi. So long as the wifi signal is strong, the car not only knows when to slow down; in theory, it could obtain that information long before arriving at an intersection and adjust its route for maximum time and fuel efficiency. If other cars had the same capability, then that "smart" stop light could direct traffic better than a human, let alone a traditional light. This isn't a new idea. Proponents of autonomous cars have long imagined linking them to centralized traffic infrastructure in order to make trips more efficient. (If secured properly, such a system would also help counter the spoofing threat.) Experimental efforts to build such systems have begun all over the world. The U.S. state of Ohio has outfitted a 35-mile stretch of highway with sensors and fiber optics to support autonomous vehicles. South Korea is planning $64 billion in smart highways. Not surprisingly, China's plans are the most ambitious. The Chinese government has named autonomous cars one of the key sectors in its "Made in China 2025" initiative, meant to transform China into a world-beating manufacturer of high-end, innovative products. Official policies encourage collaboration between Chinese technology companies involved in various aspects of transportation, from the cars themselves to satellite navigation. Alibaba is among the biggest of those firms. The company has developed something it calls, ominously, "City Brain" -- an artificial intelligence hub that utilizes big data to "automatically deploy public resources and amend defects in urban operations." In less-Orwellian terms, it's "smart city" software designed to manage how public resources like water and electricity are monitored and distributed. The system is operational in the company's hometown of Hangzhou, where it's focused on traffic management and -- according to Alibaba -- has reduced travel times by 10 percent since its launch in 2016. Since then, it's been deployed in at least two additional Chinese cities and, later this year, will be rolled out in its first foreign location, Kuala Lumpur. So far, City Brain only uses real-time video of traffic patterns to adjust stoplights. If it can be linked to cars, though, it could change those traffic patterns themselves. 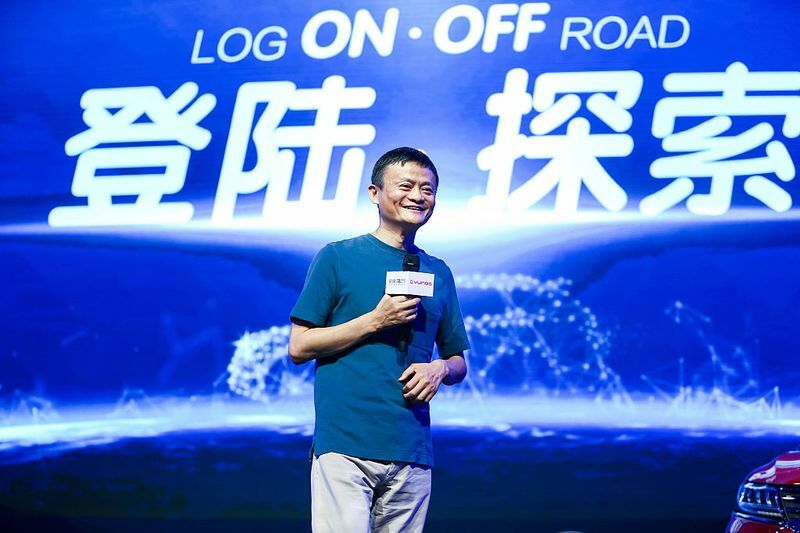 Alibaba already has an automotive operating system that allows for two-way communication with technology such as City Brain. Presumably, Xiaopeng's new electric cars will use it. Alibaba and its Chinese peers have other advantages over European and American competitors. First, data privacy is much less of a concern in China and Southeast Asia than it is in other markets, making it easier and less controversial to collect, store and use data on how citizens move around cities. Second, the Chinese government is clearly committed to helping Chinese companies lead the world in such technology. At a minimum, it's unlikely to allow foreign rivals to engage in mapmaking and comprehensive data collection on Chinese soil. Third, China is already scaling up. City Brain operates in cities housing nearly 35 million people, while China is poised to become the biggest autonomous-car market in the world. Other companies -- and global standards -- will have to adjust to whatever developments take place on the mainland. Of course, there's no guarantee that Alibaba will win this race; some of its Chinese partners are working on competing systems. Meanwhile, foreign companies will benefit from a growing wariness among Western governments and citizens about sharing data with Chinese companies linked to the government. For the moment, though, China's moving into the fast lane.